Find the latest trends in fashionable eyewear at Houston LASIK & Eye’s Advance Eyewear Center. At this center, you are provided a broad range of services that fit customers’ needs and budgets. 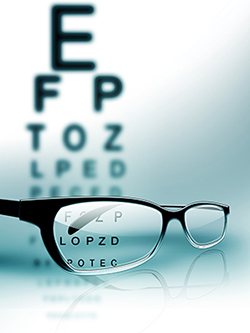 The optician is a licensed to practice in Texas and is more than willing to help you choose the right eyewear and lenses. You are assisted by the most up-to-date information on eyewear technology so that you can derive safe and maximal benefits. Available at the center are a wide variety of styles suiting all type of budgets. You get the most stylish designs from the very best eyewear designers. The inventory is constantly updated with the latest and greatest eyewear and frames. Transition lenses – which change texture based on ambient light, thereby protecting your eyes and maintaining visibility. Visit the center anytime Monday through Friday between the hours of 8:30 AM to 5:00 PM. The center also offers convenient hours on Saturdays from 9:00 AM to 3:00 PM.